Beginning in 2006, Jean Appolon conceived and has since directed a free annual Summer Dance Institute in Port-au-Prince that serves young, aspiring Haitian dancers who do not have regular access to dance education. During the years that Appolon has directed this Institute, there have been no other comparable opportunities for young dancers in Haiti. Paying for dance classes is not possible for most young Haitians, and opportunities to study Haitian folkloric dance are limited inside of Haiti. The Jean Appolon Summer Dance Institute runs for four weeks, Monday – Friday, from 9:00 – 4:00pm at the beautiful Hotel Oloffson in downtown Port-au-Prince. Please see below for a detailed daily schedule. An open audition is held in order to select approximately 50 participants for the Institute. The Institute culminates with a public performance. Jean Appolon Expressions (JAE) conducted its 2018 Summer Dance Institute, hosted by the Hotel Oloffson located in downtown Port-au-Prince, Haiti. On Saturday June 30th, 140 children, teenagers and young adults attended the open audition. 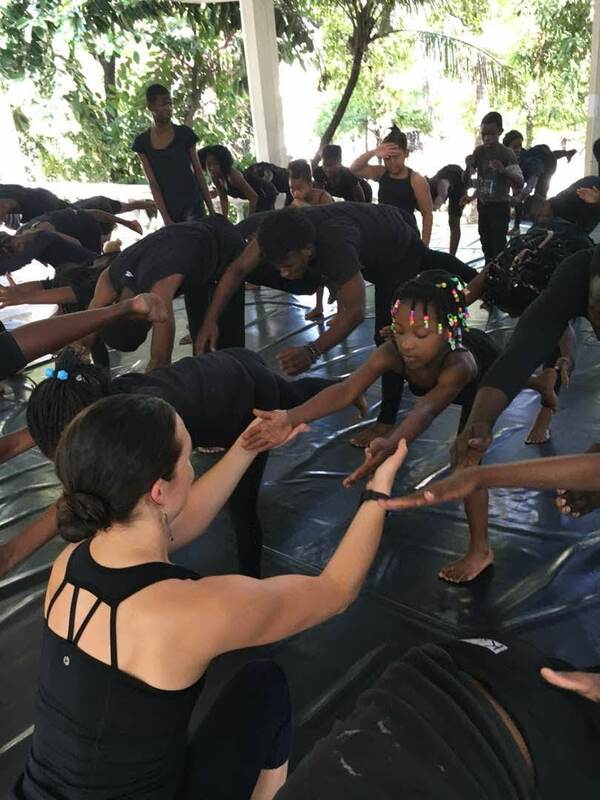 Seventy young Haitian dancers were selected to participate in this free, intensive and holistic dance program based on a comprehensive curriculum. The Institute culminated with a Final Production that honored Emerante de Pradines Morse: a champion of traditional Haitian dance, Music, art and culture who recently passed in January, 2018. Emerante is also celebrated for countless philanthropic activities, including affordable arts education for youth in Haiti. The 2018 Dance Institute students performed seven original choreographies by Jean Appolon and two from guest artists, for an audience of approximately 375 people that included their family members and friends, as well as Haitian and foreign dignitaries. The final production also included songs, theater skits and an abundance of live Haitian drumming and music. The 2018 Institute unveils the growth of JAE’s program over the past several years, more clearly defining the need for two separate groups of students for instruction. This is the second year that our group of younger children, aged 5-9 years old, has grown substantially. JAE lead a beginner (9-11:30) and intermediate (12-4) session each day, in order to provide appropriate instruction for the different levels. There was additional opportunity for the older students to mentor and nurture the younger children and help boost their confidence, which created a general sense of camaraderie amongst the group. JAE hopes to continue working with these young dancers over the next several years, in order to keep consistency in their training. Isabelle Morse has assisted Jean with Modern, Haitian Folkloric and Choreography for the past 5 years. She has also established ways to continue training some of JAE's students year-round and provide them with professional dance opportunities within Haiti. Pierre-Andre Etienne came to PAP this year for the first time from Boston, to volunteer at JAE's Institute. He shared his vast knowledge of physical and emotional healing with our students. Meghan McGrath returned for her fourth year to teach yoga, assist with Modern and help with preparations for the final performance. As a Boston-based JAE company member she works closely with Jean throughout the year to plan for the Summer Institute's success. Wisthon Thime (Haitian based artist) collaborated with Jean this year to design the backdrop, commemorating Emerante de Pradines Morse's life. He incorporated our youngest students into the development of the new work. Wisthon is now spending a few months in the greater Boston area, so please reach out if you have any artistic connections, or resources to share with him! The Final Performance at Hotel Oloffson was indeed a great achievement, along with the distribution of 67 certificates that documented the student's successful completion of the intensive dance course. The Institute's impact was felt at many levels, including the students' artistic and technical accomplishments; the students' social and personal growth; and the civic and cultural pride that comes with teaching and showcasing Haitian folkloric dance, music and culture as a precious resource. The 2018 Jean Appolon Summer Dance Institute was made possible through the support of many generous individual donors from the U.S. and elsewhere, and with gracious support from Hotel Oloffson. Jean Appolon Expressions summer programming in Haiti was enhanced due to its partnerships with other changemaking nonprofits. For the fifth year in a row, Jean Appolon Expressions collaborated with Hope On a String, a non-profit that has successfully educated and empowered youth through music and the performing arts for years in Arcahaie, Haiti. JAE is so happy to continue to be a part of the HOAS’s inspiring arts programming. JAE partnered with Doctors Without Borders this year, who helped bring some poignant information about health and wellness to our students. 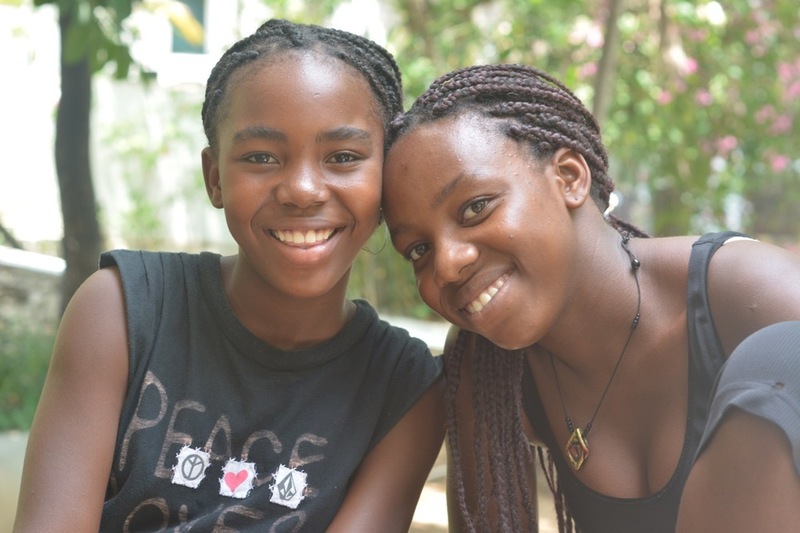 The Haitian health workers split our younger and older students, in order to deliver the important information about becoming and remaining healthy, in a an age-appropriate manner. Jean Appolon Expressions (JAE) conducted its 2017 Summer Dance Institute, hosted by the Hotel Oloffson located in downtown Port-au-Prince, Haiti. For the first time, the program ran for six weeks (from June 24 - August 4) instead of four weeks and the results were impressive. On Saturday June 24th, 120 children and young adults attended the open audition. Eighty seven young Haitian dancers were selected to participate in this free, intensive and holistic dance program based on a comprehensive curriculum. The Institute culminated with a Final Performance that honored Vivianne Gauthier: an icon of traditional Haitian dance who recently passed at the age of 99. Vivianne was one of Jean’s most cherished teachers, who transmitted her passion, knowledge and strength to him over the years and will forever remain the inspiration behind his work with youth around the world. The students performed six original choreographies by Jean Appolon and four from guest artists, for an audience of approximately 220 people that included their family members and friends, as well as Haitian and foreign dignitaries. The 2017 Institute was unique for multiple reasons. This was the first year that several younger children, aged 5-9 years old, participated in the intensive program. JAE lead a beginner and intermediate modern class each day, in order to provide appropriate instruction to the different levels. There was also opportunity for the older students to mentor and nurture the younger children and help boost their confidence, which created a general sense of camaraderie amongst the group. JAE hopes to continue working with these young dancers over the next several years, in order to keep consistency in their training. 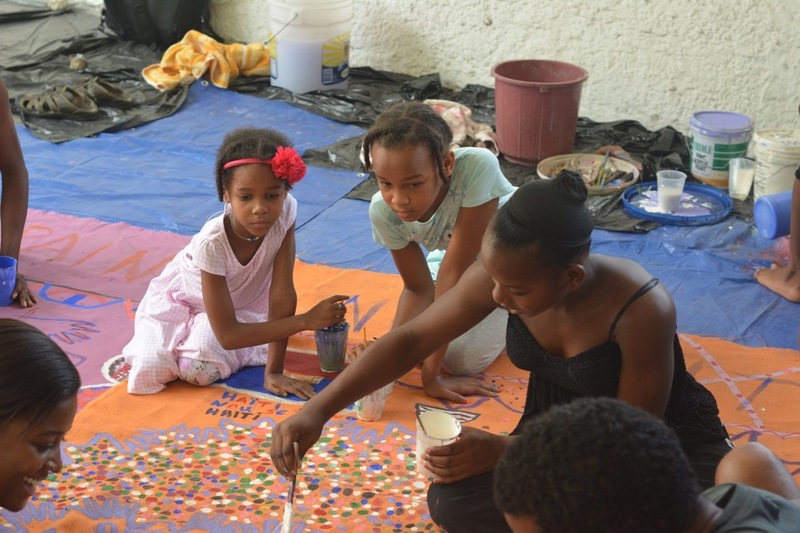 Jean Appolon Expressions summer programming reached far beyond Port Au Prince this year. As a team, JAE offered dance and wellness lessons to students across several Haitian communities, including Timo, Arcahaie, Cite Soleil, and Jeremie. Some of this programming was made possible with the help of JAE’s dedicated donors, we thank you graciously for your ongoing, individual support. We were also happy to collaborate with three inspiring non-profits; Hope On a String (Arcahaie), The Andrew Grene Foundation (Cite Soleil) and The Women and Children’s Hope Foundation (Timo). Jean-Sebastien Duvilaire lead a one week dance intensive for girls at The Women and Children’s Hope Foundation in Timo, Haiti. This educational program was held M-Th from 9-4pm each day for nine girls, aged 11-19 years. 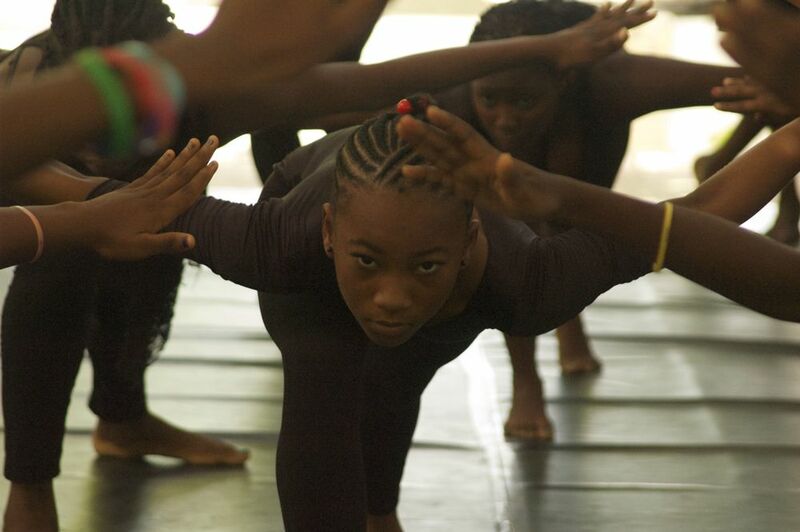 The students focused on mind and body conditioning, Modern technique, Folkloric Haitian Dance and choreographic skills. Jean-Sebastien traveled with the girls and their chaperones from WCHF to Port Au Prince for JAE’s final performance at the Oloffson Hotel on Friday August 4th. The students were able to witness the transformative final product, after six rigorous weeks spent in JAE’s PAP Summer Intensive. 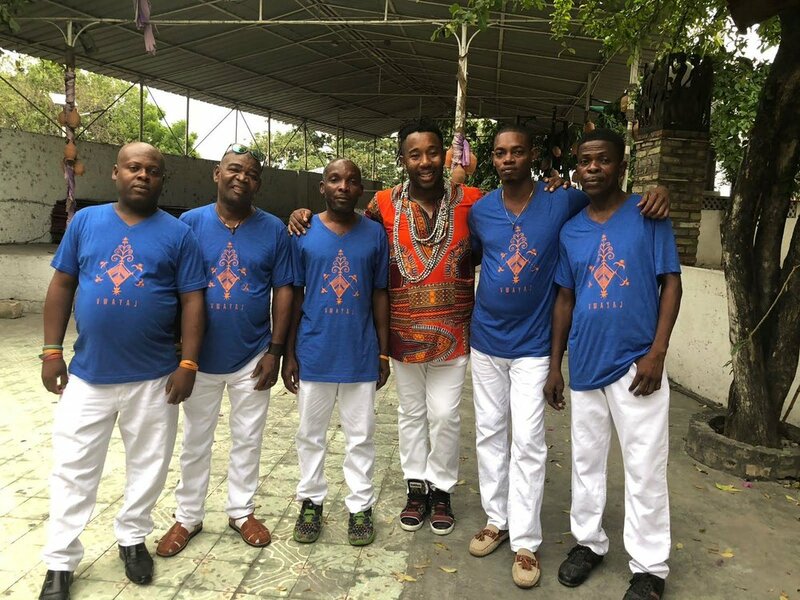 For the fourth year in a row, Jean Appolon collaborated with Hope On a String, a non-profit that has successfully educated and empowered youth through music and the performing arts for years in Arcahaie, Haiti. JAE was excited to partner with the Andrew Grene Foundation for a one day workshop at their program in Cite Soleil. It was an inspiring day filled with dancing, drumming and laughter. Jean-Sebastien Duvilaire welcomed JAE to his hometown of Jeremie, Haiti in August 2017. Sebastien lead a two week dance, drum and wellness intensive with roughly 40 students. Jean Appolon and his drummers from Port Au Prince journeyed to this beautiful capital city of the Grand'Anse department, to guest teach at the program. JAE looks forward to expanding its offerings in Jeremie in the near future. 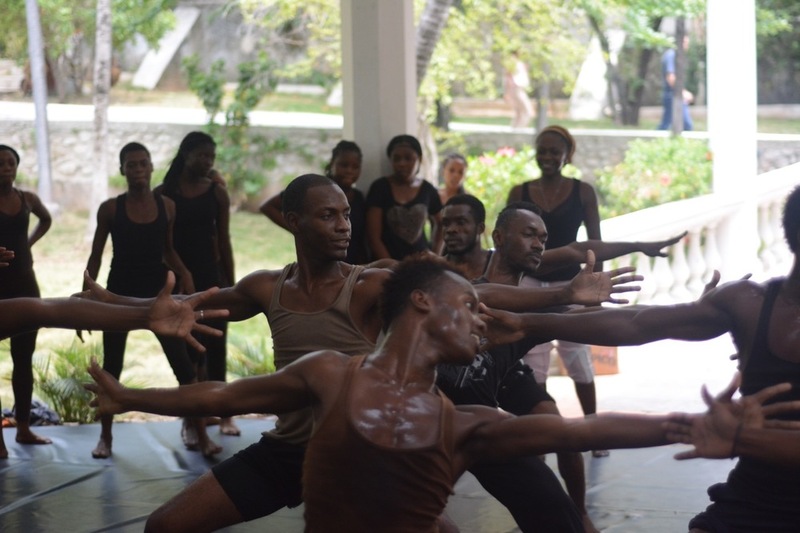 Jean Appolon Expressions (JAE) conducted The 2016 Jean Appolon Summer Dance Institute, hosted by the Hotel Oloffson located in downtown Port-au-Prince, Haiti, from June 25 – July 24, 2015. On June 25th, an open audition was attended by 89 students. Sixty young Haitian dancers were selected to participate in a free, intensive and high quality dance education based on a comprehensive curriculum. The Institute concluded with a Final Performance that honored Four Women Pioneers of Haitian Dance: Emerante de Pradines, Katherine Dunham, Vivianne Gauther and Lavinia Williams. The students performed six original choreographies by Jean Appolon for an audience of approximately 200 people that included their family members and friends, as well as Haitian and foreign dignitaries. The 2016 Institute was characterized by an extremely positive ‘esprit de corps’ on the part of the participating students as well as the staff. Each day, students were focused and on time, some traveling 4+ hours round trip to participate. The Institute exemplified JAE’s philosophy of ‘by working together we can achieve something great.’ The Final Performance was indeed a great achievement as was the distribution of 56 certificates that documented the student’s successful completion of the intensive dance course. Please click here for a video, and here for photos, of The Final Performance. The Institute’s impact was felt at many levels, including the students’ artistic and technical accomplishments; the students’ social and personal growth; and the civic and cultural pride that comes with teaching and showcasing Haitian folkloric dance, music and culture as a precious resource. JAE held a Press Conference on July 14, 2016 at Hotel Oloffson attended by representatives of the following: Radio Télé Guinen and Radio Télé Galaxie. Through the duration of the Institute JAE received media coverage from Radio Télé Superstar, Journal Le Nouvelliste – Ticket Magazine, Radio Télé Guinen, Radio Télé Pacific, Radio Télé Galaxie, www.maghaiti.net, CHOKARELLA, Télévision Nationale d’Haïti (TNH, Radio Kiskeya and Radio Télé Galaxie. 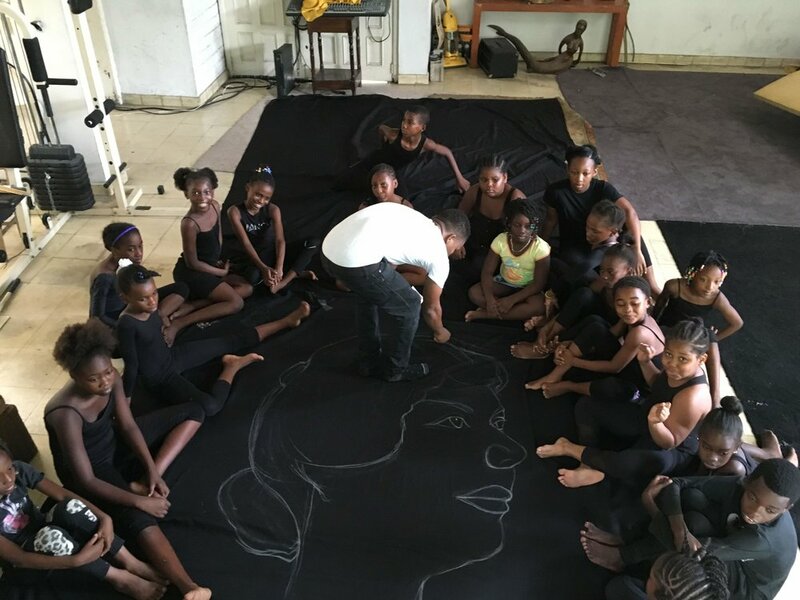 The 2016 Jean Appolon Summer Dance Institute was made possible through the support of many generous individual donors from the U.S. and elsewhere, and with support from Hotel Oloffson, the U.S. Embassy in Haiti, FOKAL, JetBlue and Art to Educate Haiti. The students participated in master classes and lectures with the following special guests: Emerante de Pradines, Mousson Roux and Danielle Jeudi.